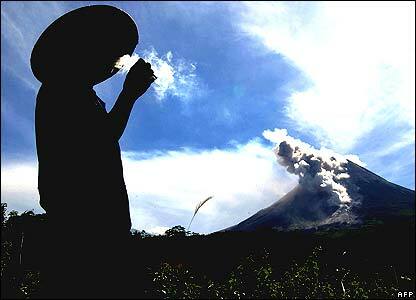 A farmer takes a cigarette break while volcanic activity on Mount Merapi in Central Java intensifies. Thousands of villagers have fled but others refuse to leave. 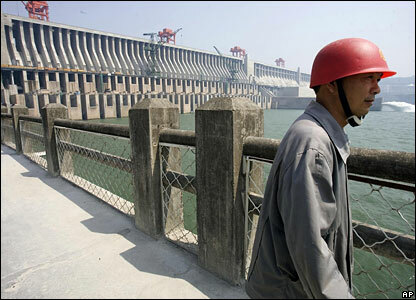 The main wall of China's controversial Three Gorges Dam, due to be completed on Saturday, nine months ahead of schedule. 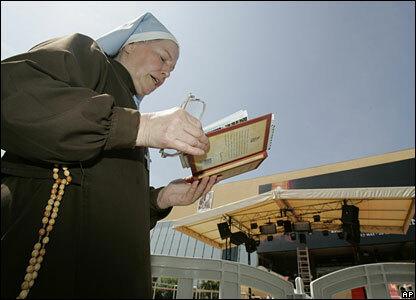 Sister Mary Michael, from Lincoln, England, stages a protest against the controversial Da Vinci Code film which is premiering at the Cannes Film Festival. 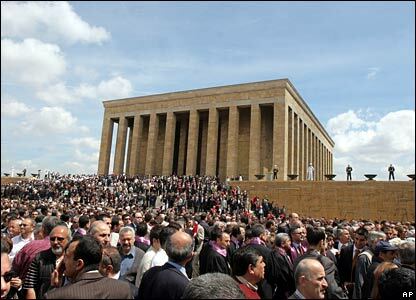 Protesters mass at the mausoleum of Mustafa Kemal Ataturk, founder of modern Turkey, to condemn a deadly attack on a court in Ankara. 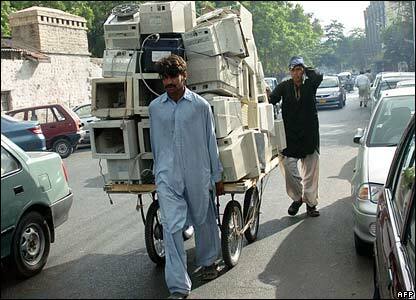 A Pakistani vendor pulls a cart piled high with monitors from discarded computers. An informal industry restoring computers has developed in Karachi. 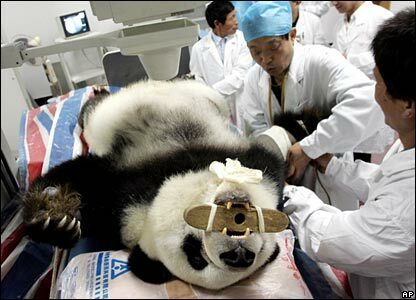 An ailing 26-year-old panda receives a medical check-up at a hospital in southeast China's Fujian. The hospital normally treats humans but made a special exception for the panda. X marks the spot: This year's UK Big Brother housemates have begun their 13-week incarceration. First to enter the house was Bonnie, a 20 year-old care worker. 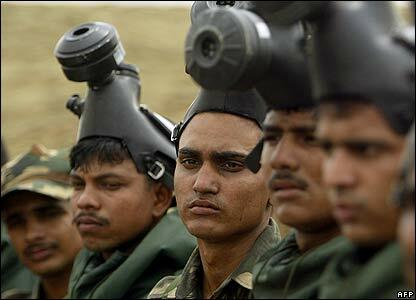 Indian army officers don chemical protection suits for a decontamination procedure during military drills in the Punjab. 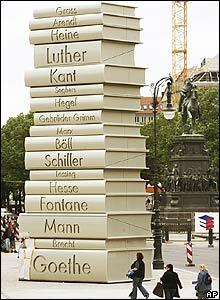 This Berlin sculpture of books by German writers is one of six created as part of an initiative for the football World Cup. 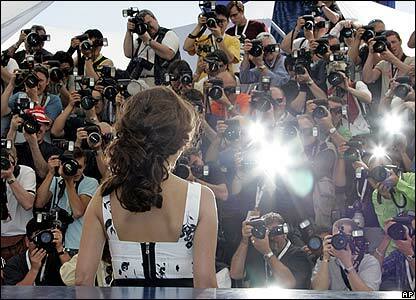 Hollywood actress Penelope Cruz faces the cameras during a photocall to promote her movie at the Cannes film festival.